okh, thanks for reporting the issue in furniture table, it should be fixed in Beta 6. YGYL, thank you for taking the time to describe your issue. But keep in mind that good ergonomics = predictable result. I don't think your idea is good because original elevation and level (you forget that one) would be hidden information, i.e. something you can't guess. Imagine you give your .sh3d file to someone else, how can he predict that the table will belong to level 2B if he ungroups the group? remib, I fixed the typo on "visble" checkbox. Levels are organized by elevation and then the order you set in their modification dialog box, so just modify a level to change that order. I don't think grouping layers will happen anytime soon. Most strange, cannot recreate this today (after having restarted everything). Will let you know if it happens again. Would it be a good idea to include an invisible texture in the collection while you are at it? Don't know what happened in 5951#25821, but transparent textures is a good way of hiding furniture elements until transparency can be implemented in the colour dialogue. Each furniture has these parameters.and These parameters are stored in the .sh3d file. When the group will record the parameters,When the ungroup will load the parameters.So will not go wrong! Tonight, the Beta 3 brings a very long awaited feature: layers! I'm sorry to see the 'visible and invisible objects in group' feature I was so happy to find in Beta2 disappear in more recent versions. I like being able to group together a large batch of light sources and fine tune them without having to ungroup them first -- and risk having them sprinkled across the plan. It was also nice to be able to make the entire group invisible, even if later making it visible made all the objects in the group visible, as well. I've been fighting a perplexing problem regarding wall heights, but finally stumbled across what I think is a workaround, at least. [I take that back: it's *partially* a workaround.] And, of course, I can't duplicate it in a test plan -- only in my production file. Basically, a split wall sloping upwards from 4' to 10' across one segment and downwards from 10' to 4' on the second actually slopes from 4' to (10' + floor thickness) on segment one and from 10' to (4' + floor thickness) on segment two; that is, whenever a wall slopes, the 'height at end' is equal to the requested height plus the current floor thickness. This problem seemingly first appeared with Beta6 (possibly Beta5) and now affects all sloping walls in my plan. Again, though, I can't duplicate this in a file created under Beta6. In the layer logic, it's not intented and should be fixed in Beta 7. I also changed the JNLP file to avoid some "delayed" updates that I experienced and that could explain why you thought that the Beta 6 didn't fix the bug in the furniture table. mazoola, sorry, I don't want to spend too much time on managing Beta differences. Java Web Start is surely not perfect on this point, but it's much easier for me to manage. But your case is interesting and I wonder if I should go back or not. To prevent the problem I explained, I could for example forbid to resize a group with partially visible pieces. But how the beginners could guess when the group is resizable or not? About your wall heights issue, I don't think there was some recent changes on this subject recently. The height of wall at a given level is actually the height given in its dialog box + the thickness of the level, if that level is not the lowest one. Not complaining about the web start, just commenting on my remarkable cluelessness for so long. two levels same elevation - which both have textured/coloured floors, it seems the 'lower' texture shines through in the 2D plan and takes precedence in the 3D plan (if added later). In the 3D pane, the 'upper' texture now covers the lower. In the 2D pane, there is still a bleed-through of textures from two rooms on different levels, same elevation, which I don't mind. But what could be slightly confusing, is that when the 'upper' level is active, it is still possible to edit the geometry of the rooms on both same-elevation levels. Probably not a big problem in practice. But if a separate 'layer' is kept for dimensions, including a 'room' for the entire building, there may confusion if someone thinks they are editing the rooms on the 'layer' above (but manage to move points for the room for the entire building). I have been cutting and pasting like crazy, styles, groups. Everything works perfectly as far as I can tell. I see that if an object from one level is copied to a group on another level, the level is kept. I.e. the object is not moved. This is probably the way it should be. However, it also means that it is possible to have the group on one level, and all the group elements on another level. 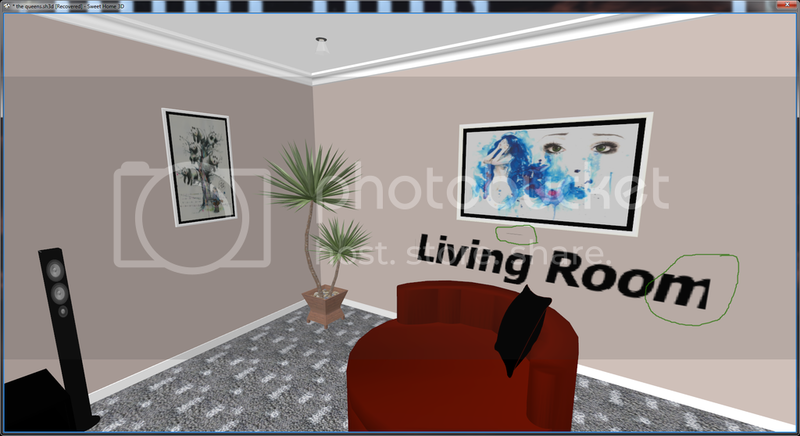 So the group could be on a hidden level, disappear from the 2D pane and the furniture list, but the elements still be visible in the 3D view. Not sure it matters, but cross-level groups is a bit dangerous (but then, I learnt early to avoid that in order not to confuse myself). As usual, your attention to detail is greatly appreciated. Will keep trying to find stuff (probably increasing confusion instead of helping, professional problem I guess). So bottom line is that, honestly, there is nothing in Beta 7 so far that I cannot live with. In fact, I edit my serious projects in the beta versions without worry. All in all - v 5.0 is really looking good, very nice improvements.